Discussion in 'Pin Comparison' started by cyke23, Aug 12, 2018. As I continue to organize my traders, I’ve finally come to my hidden mickey pins and other questionable pins. These are heavily scrapped, so need your opinion/guidance. These 1st 2 pins have a “thorn” near the post. Fronts look good. These next 2 pins have good fronts, but the backs are “striated” or less smooth. I just bought some hidden mickey blue and pink bags and was shocked at how a handful of the backs were similarly imperfect. Not all though; many were smooth and shiny. In total, I pulled 17 pins that fit the above. Tradeable or toss them? I also found 23 pins with bad dips, wrong colors, etc. so they’re gone. Quality Control on the bagged pins has been terrible lately. Rough edges, dips in enamel etc... it makes it hard to really ID scrappers sometimes. 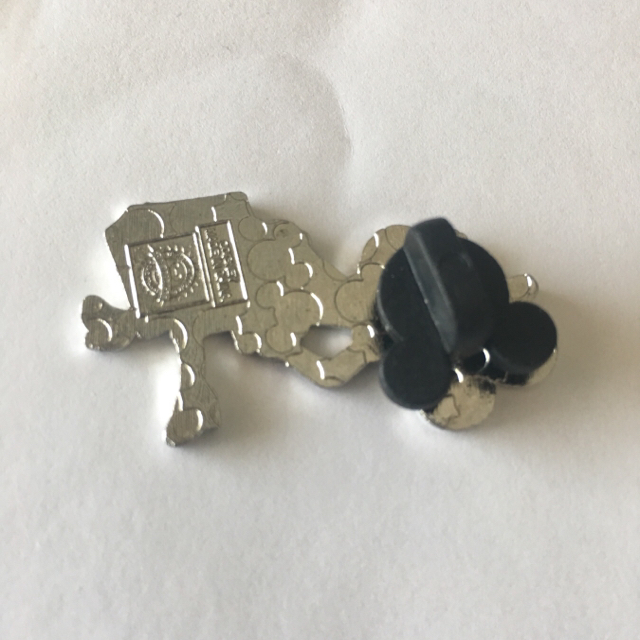 The Minnie Fashion pin could be authentic, even with the weird waffle pattern, I have found on some of the smaller pins and pins with odd shapes, that the waffle pattern can get distorted or cut off weird, even when it is a real pin. 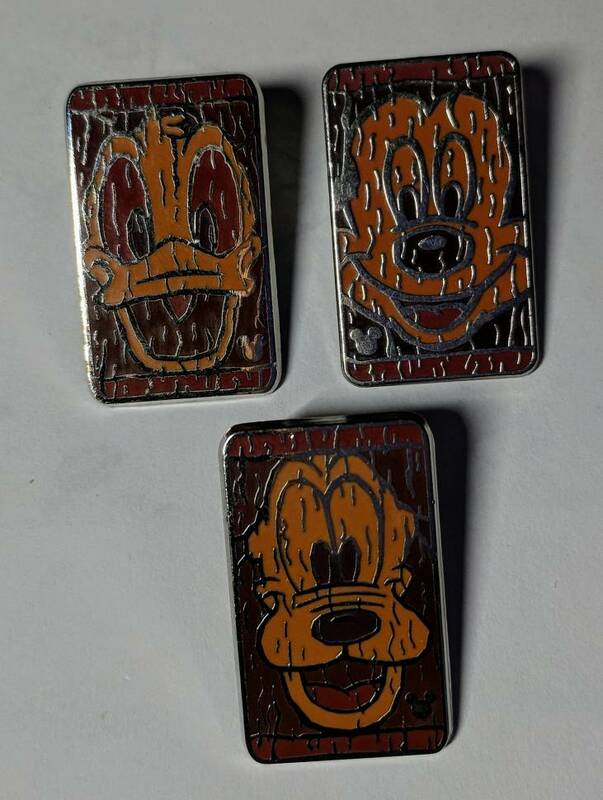 Again, I learned this from purchasing pins directly from Disney that ended up actually looking like scrappers. "Thorns" or nubs by the posts also are not always an indicator of authenticity. Some real pins have them, some don't. It's just so hard to say. 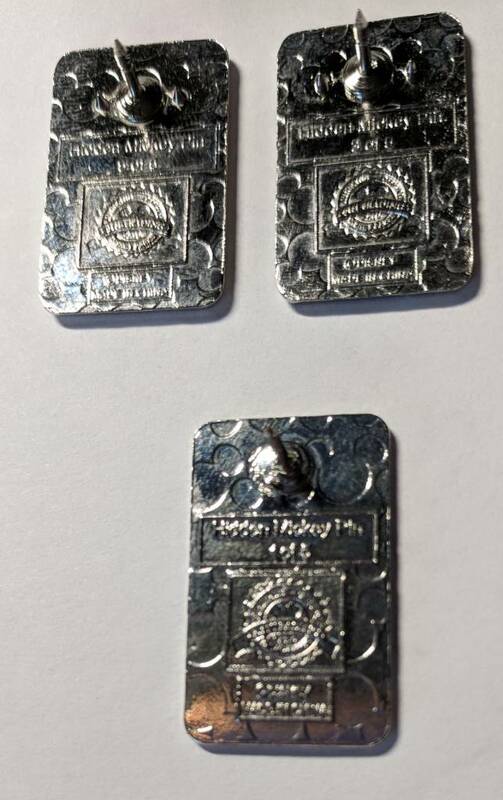 I usually end up going by enamel color and really pouring over pictures of authentic pins to find any differences that are glaring....again, not a perfect way to tell. I hope someone else can give you more information. The weight of the pin and the sound it makes when dropped (gently) onto a solid surface (my wooden desk works well) are two huge factors in my determination of authenticity. 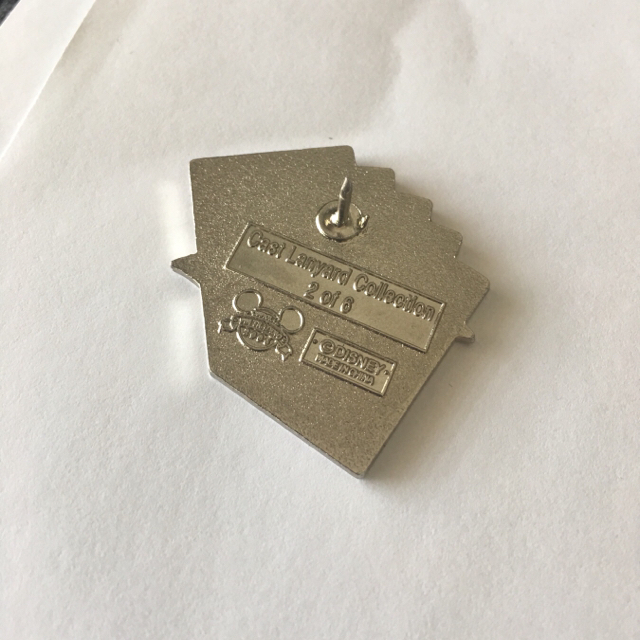 If the pin looks okay (ie, no obvious borders, mis-numbering, etc.) it can be hard to tell without having the pin in hand. 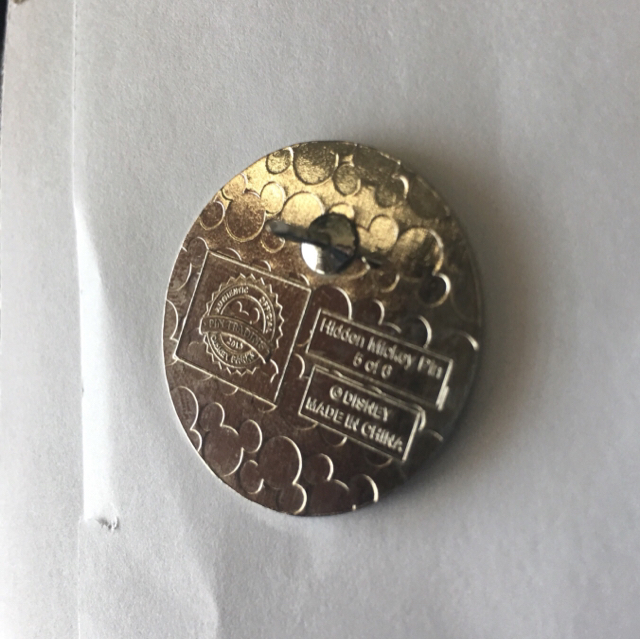 For the Donald Duck Tiki… I have this pin and I compared your back to mine and the mickey waffle pattern falls on the pin differently (I have noticed the mickey waffle pattern is typically identical in non-scrapped pins). 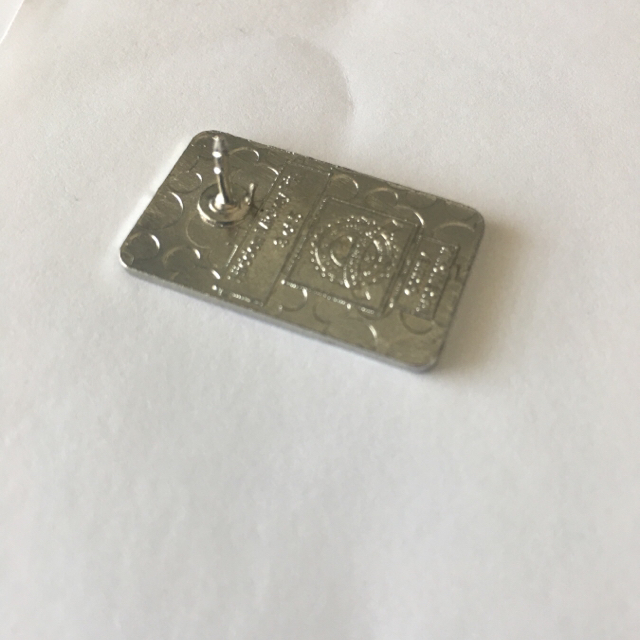 Mine also has two shorter numbs, one on either side of the pin post and your has one longer nub (if I am seeing it correctly). Edit: just noticed there is ever so slightly a boarder on the bottom of the Mickey Tiki edge. Anyway, this is my process... hope it helps at least for determining for the Tiki Donald. read. Also, the waffle pattern on her "fake" is less defined. 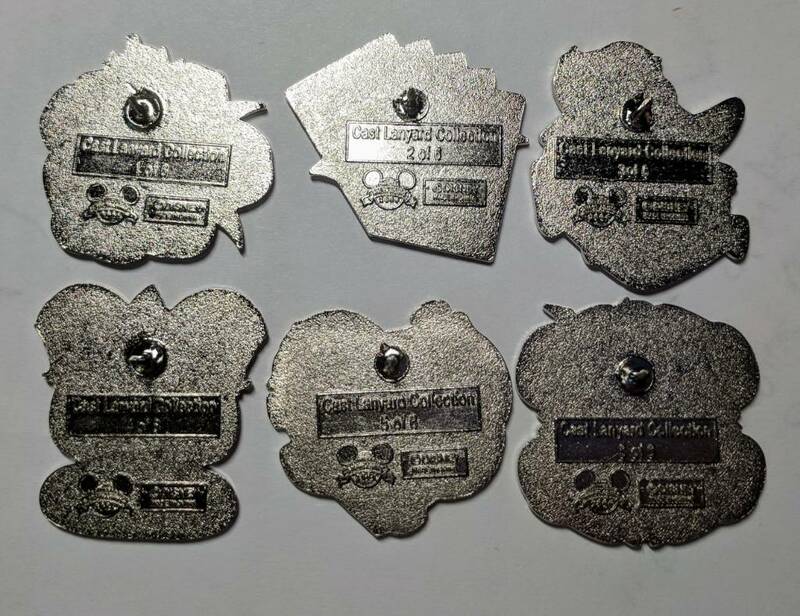 Both, the tiki face pins and the fashion Minnie pins have been counterfeited. Your Minnie looks suspect to me, but it is so hard to tell. a tinking noise. Meaning it sounds that way when it hits. Real pins tend not to make this noise. 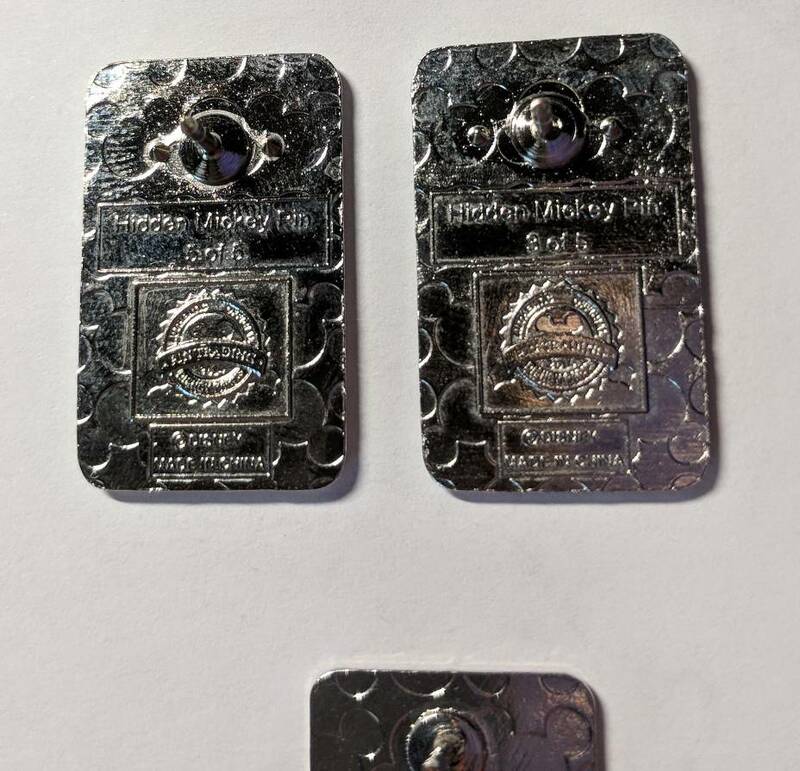 We need to see the fronts of the pins for some of them. I wasn't sure if I had the queen of hearts pin, but turns out I do have one and just needed to do a bit of searching. The entire set was obtained for my collection by private trade... from a reliable trader I know and have traded with multiple times. This trader collected them all when the pins first came out. I have determined this set is legit (ie, bottom line... they are lovely and good enough for me... right or wrong.) But these older backs are not my forte at all. So here are my pictures (of entire set) and if anyone can tell anything based on these pics... would be interested to hear it. Edit: their is one nub on my Queen of Hearts and it is to the left of the pinpost (hard to see, so I wanted to point it out.) It appears your nub is on the opposite site... once again, not sure if this means anything. Finally, I don't know if you can see it, but the color looks odd on Mickey... when compared to Donald and Pluto. There is an upper and lower border background, but the background immediately surrounding Mickey's face is a darker brown/tan/orange than the color surrounding Donald and Pluto. The orange in Mickey's face also looks different. 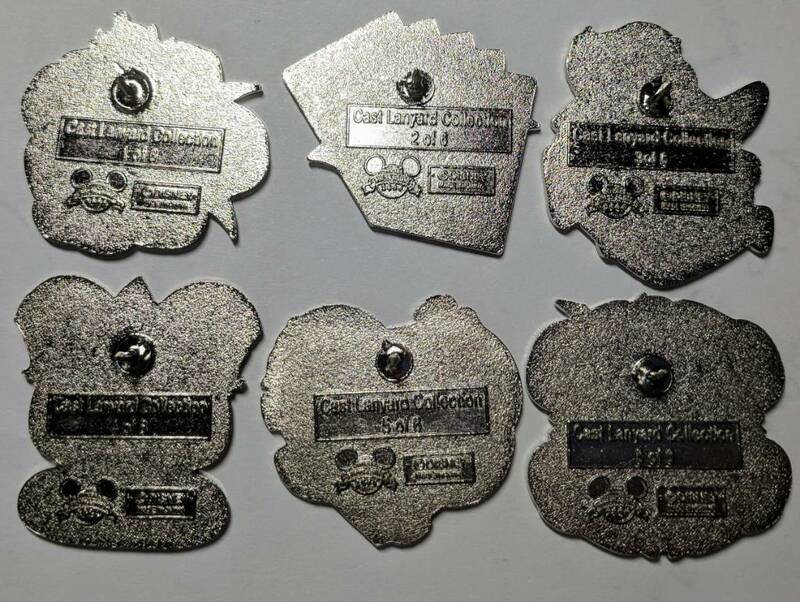 The hashing on Mickey also look less random... and the outline looks thicker and more raised. Not sure any of this means much... but what I see in my analysis.